For Just $2, I give my powerful clickbank store builder software that can build your clickbank store website within 90 secs. All you need is just hosting, domain name & sign up the respective affiliate like amazon,clickbank and the software will do the magic to build the store for you. These are the most powerful software I have ever come across. This is the instant download, once you buy at only $2, you get your instant download immediately. The software come with full manual & instructions. 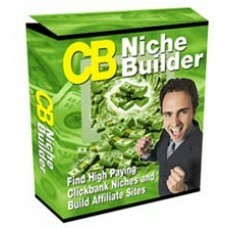 Give you 2 powerful CLICKBANK store maker is ranked 5 out of 5. Based on 3 user reviews.